What takes place during a trim? During a trim I’ll start by cleaning the foot. This involves paring the sole and trimming the frog. While I’m cleaning I look for abnormalities, bruising, or anything out of the ordinary. 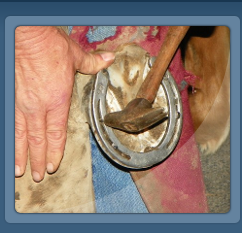 The amount of toe/foot that is removed depends on what will best suit the horse. Several trimmings may be required if the foot has not been properly managed to restore the hoof to a more healthy state. After the trim, I level the foot by rasping (filing). If the horse is trimmed only and not getting shod, I roll (rasping technique) the outside wall area smooth to keep the feet from cracking and chipping between visits. If the horse will be shod, I don't roll the outside wall to leave room for nail placement. This generally depends on terrain and conditions. 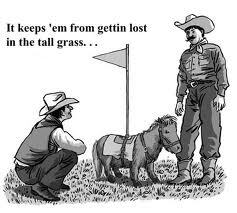 If the terrain is rocky or if the horse is ridden in rough conditions the horse may be more comfortable with shoes. Shoeing can minimize bruising and gives horses a bit more stability while riding. Softer riding surfaces such as grass or soft sand would be ideal for barefoot horses. Again, horses and their feet vary so consideration should be given to what works best for them. How often should I have my horse shod or trimmed? This depends on individual hoof growth and for what the horse is being used. Horses that are being ridden more often should be seen every 5-6 weeks. After 5-6 weeks for a shot horse, the clinches could be raised or sharp, the toe could become long and the horse may begin to trip. There is also the possibility for more strain on the ankles, knees, joints, and tendons due to not breaking over easy because of long toes. After the trim, I shape the shoe using an anvil and a hammer. I want to shape the shoe to the foot and not shape the foot to fit the shoe. Each foot is different and should be treated as such. 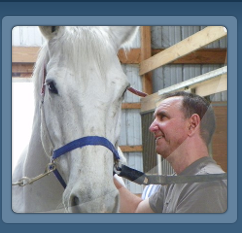 Different types of shoes such as steel, aluminum, wedge, or therapeutic may be used depending upon the horse’s needs. 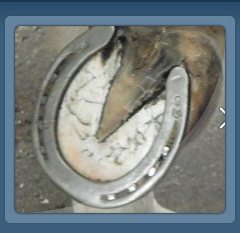 Nail placement is crucial to avoid hurting the horse and to maximum the hold to the shoe. Clinching the nails reinforces the shoe to the foot so that it will stay on in-between visits. Should I get 2 or 4 shoes? This depends on what you do with your horse or what kind of riding habits you have such as trail riding, jumping, eventing, or dressage. Is the horse lame in behind? Does the horse have hind end issues? These are all things to take into consideration when deciding to have 2 or 4 shoes put on your horse. What should you do between farrier visits? 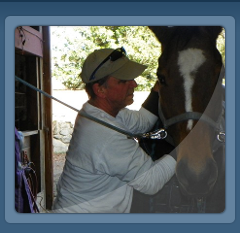 Work with your horse as much as possible to get them use to having their feet handled and touched. If you are inclined to do so, you can use a command such as "foot" to train your horse to lift their foot upon saying the word. If you have a foot pick it's a good idea to clean out the soles and frogs to prevent issues such as thrush or bruising (due to rocks in the frog or heels), and to make sure the shoes are still on tight.